Either you contact us, or we contact you based on a referral. An appointment is setup for us to look at your house and hear your needs. During this initial consultation we mainly listen. We might steer some of your ideas into a direction that they need to go, but the main goal is to find out what you want and need. After the initial consultation we put together a solution for your wants and needs. Usually within 24 hours we will contact you again to setup an appointment to discuss our solution with you. If any changes need to be made, they are corrected, and if the solution is approved we take a deposit on the work. Our technicians are experts in building construction and construction materials. 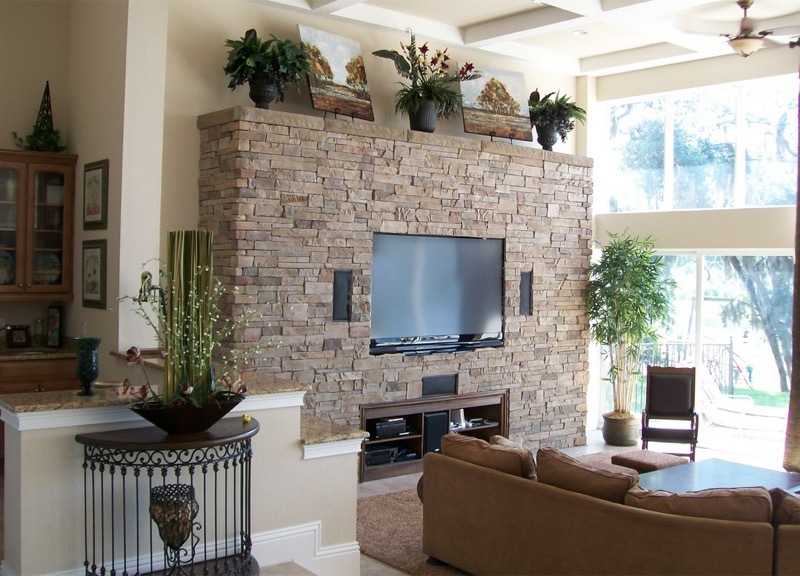 Whether it is stone, brick, drywall, wood or block, they can install TV’s on almost any surface. 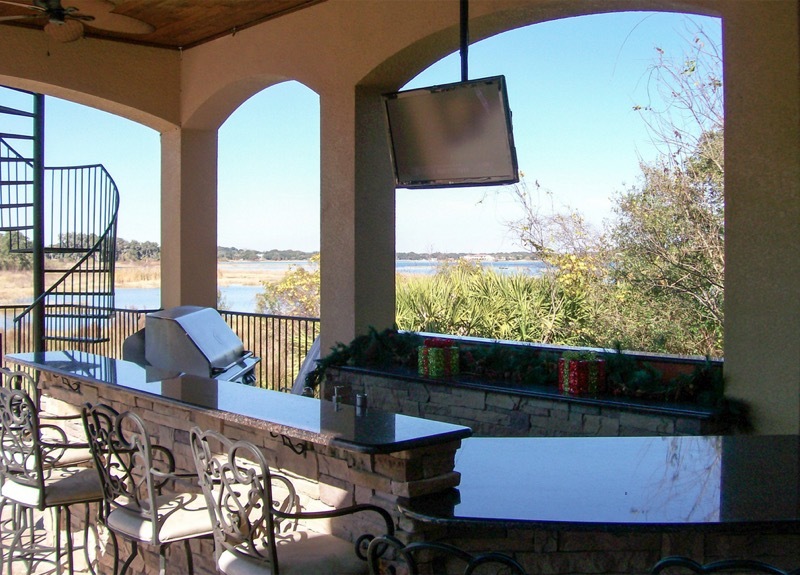 We offer extensive cabinet building capability for even the wildest installation ideas. While not everyone will want a TV monitor to motorize up out of an armoire, that is something that we can offer our clients. Our bread and butter work consists of the standard 5.1 or 7.1 surround sound system. The speakers in these systems are front and rear (and sometimes side) speakers, a center channel speaker, and a subwoofer (or two if you want a totally immersive experience!). Controlling all of those speakers is a audio/video receiver. This receiver takes the signal from your satellite dish/cable box/blu-ray player/gaming device and decodes the audio signals and sends them to the right speakers. The result is an incredible audio experience, just like at the movies, all in the comfort of your home. 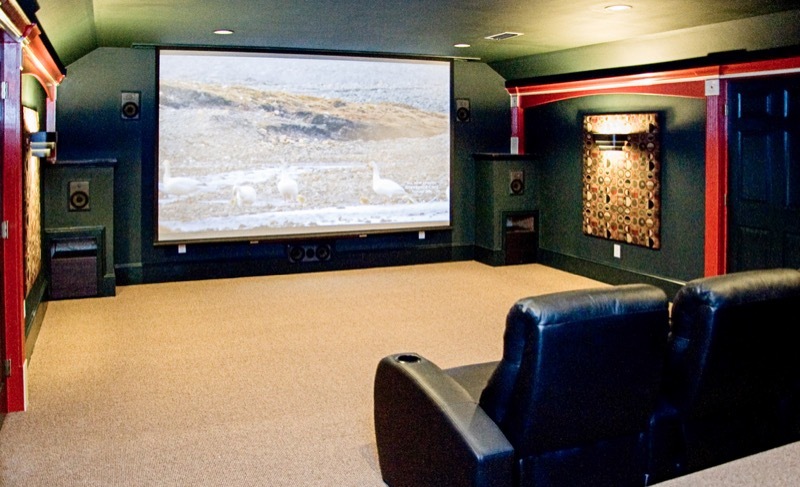 If your desire is to bring the complete movie theater experience to your home, we can help. We have build numerous home theater rooms for clients all over Florida. We can handle all of the audio video aspects of the room, as well as seating and even acoustic treatments. Yes, it is possible to have a great audio experience in one room and a quiet atmosphere in the next! More and more people are experiencing the advantages of multi-zone audio. Multi-zone audio is simply audio that can be distributed throughout the rooms of your home. Say your family is watching a movie in the living room, and a member wants some popcorn. With multi-zone audio it is possible to send the audio from the movie to the kitchen, so they never have to miss any of the movie. Multi-zone audio is also great for entertaining guests in your home. 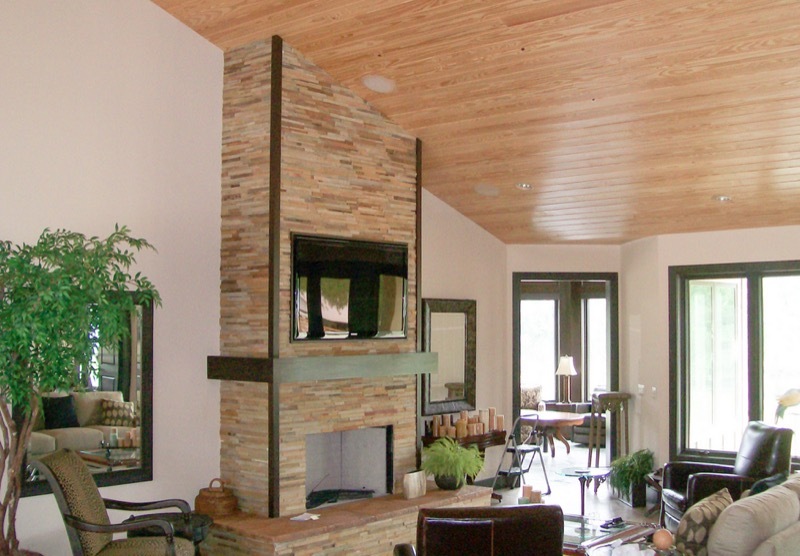 Rooms such as the living room, sitting room, family room, dining room, and porch can all benefit from multi-zone audio. Imagine having a party and people in every room of the house is able to hear the same song, all at a comfortable volume level. Multi-zone audio systems consist of individual speakers and an amplified control center. We also offer our clients the option of having volume and source control panels in each room. With the variety of possible sources available to the typical household, the stack of remotes on the coffee table can get to be daunting. We offer universal remotes that can take the place of many remotes, with just a single remote. More importantly, we offer complete programming services for these remotes. Our technicians are able to take a number of possibly confusing commands and simplify them into single button options. Want to watch TV? Just press “Watch TV”. Want to listen to the radio? Just press “Listen To Radio”. We can even configure the remotes to control the audio in other rooms of your home. Complete control at your fingertips! If you would like to schedule an appointment for a consultation, contact us here.